France’s luxury residential real estate champion Daniel Féau has just opened its 18th agency, a first as it is outside the Paris area. Nicolas Pettex-Muffat, Daniel Feau’s general manager, details the group’s roadmap and shares his view on a Parisian luxury real estate market seemingly unaffected by crisis. Business Immo: As a real estate agency specialised in the luxury market in Paris, are you satisfied by or worried about the appeal of the capital with a price/sqm which has risen above 9000€? Nicolas Pettex-Muffat: The price per sqm reasoning, often highlighted by national real estate networks, is only significant in a spending power mindset and is essentially of interest, in practice, to first-time buyers. The Daniel Féau clientele, seeking to acquire properties in the most desirable neighbourhoods in the capital and its western suburbs, analyses other criteria during their thought process. Currency exchange rates, for example. This goes to explain to some extent an influx of Swiss buyers to Paris following the 2008 financial crisis, and is currently a major consideration for French nationals living in London and who, anticipating a drop in the pound, are seeking to diversify their portfolio and reinforce their euro assets. The rarity of properties is also a determining factor in their choice. Paris is characterised by a real estate stock that is frozen, and in particular in the luxury range; new build is almost non-existent in the capital’s most attractive neighbourhoods! While all of these factors have led to a raise in prices in the capital’s luxury real estate market, Paris nonetheless remains appealing: apart from its world-famous tourist attractions, Paris is today recognized as an innovation and new technology hub and, aided by Brexit, offers strong arguments to become (once again) a prime financial centre. BI: Who are your clients? 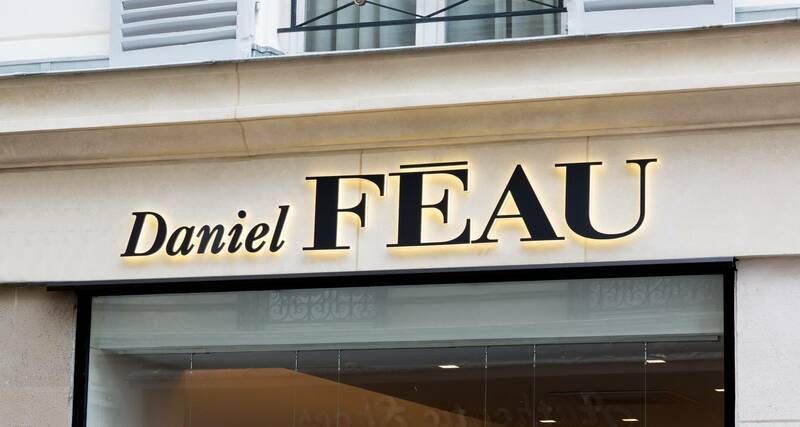 And how does Daniel Féau manage what is after all a particularly demanding clientele? NPM: Our traditional clientele consists of French families seeking to acquire a beautiful apartment in the capital, not only as a family home but also as a family investment. Properties with prices exceeding 4 million euro attract a principally foreign – or rather non-resident – clientele, attracted to Paris not only by its unique “art de vivre” but also by an opportunity to invest in assets in Euros. To attract this international clientele, we can rely on strong networks often made up of independent real estate agents and leaders in their national market. For over 20 years, we have also been the exclusive representative in Paris for Christie’s International Real Estate, the world’s leading luxury real estate network. Our singularity is the exceptional loyalty of our clients who we accompany throughout their real estate project. Thanks to the quality of our teams and their thorough understanding of each neighbourhood we are rewarded by a significant proportion of exclusive sales agreements (almost 50%). To achieve this end we naturally require a solid network of agencies - 17 in total in Paris and the western suburbs -, the best team members (that is to say those who are able and willing to create long-term relationships with their clients), and state-of-the-art communication tools facilitating the work of our team members. These allow them to work in close harmony with our partners abroad, and optimise the visibility of our offers. Particularly active within our international networks, the company is constantly on the lookout for new technological opportunities. We have come a long, long way since we embarked upon the digital highway back in 2007! We can be proud of our work tools, even in comparison with operating systems and notably across the Atlantic. BI: What size of market does Daniel Féau traditionally target? NPM: Our target market is voluntarily limited to the most desirable neighbourhoods in Paris and the western suburbs. In terms of volume, this represents about 2500 transactions annually at prices in excess of one million euro. Of these Daniel Féau concludes on average 800 transactions: one in four between 1 and 2 M€, over one in three at between 2 and 4 M€, and well over one in two at higher prices. BI: Do you intend to extend your playing field? NPM: We are currently considering some possible targeted options, and would go where the market has potential and a Parisian and/or international clientele. Opening new agencies would, above all, be the result of meeting entrepreneurs, for what counts for Daniel Féau is essentially the human being. We have just opened an agency in Aix en Provence. In this case, the market was particularly interesting, with a Parisian clientele looking to acquire luxury real estate in the area. However, it was above all down to meeting the right person, someone who works and thinks like us, and who is totally in tune with our values. BI: What about international development? NPM: No. We have realised that international networks find it hard to make a mark in the French market. And I can see no reason why we should leave a network of partners which we have helped to establish over decades and which works to perfection. In short, to manage luxury real estate, one must have established strong local roots in order to fully understand the target market, and combine this with an international network in order to best approach a cosmopolitan clientele. The slogan of one of our correspondents perfectly resumes the singularity of our business: “I am local, I am global!” Taking into consideration how the close business relationship between our Féau team members and our international network has become the norm, I would go a little further and say “We are local, we are global”.